Your AdFac Bargaining Team met with the district, under the auspices of a state- appointed mediator, on December 15. The session lasted from 9:30 in the morning until 6:30 in the evening! Kent Stevenson, Manjit Grewall, and Denny Konshak were there the entire time, with Tonya Cobb, Catherine Whitsett, and Pete Christenson participating at various times. The outcome: absolutely no progress. The administration remains adamant that part-time faculty do not deserve real re-hire rights and they persist in wanting to destroy the current “preferred consideration” seniority system by making it optional (that is, the Dean or Chair could assign classes by seniority or they could decide not to, their choice, and the union would have no way to enforce any compliance). Your team has rejected these administration positions and will continue to fight for YOU! The next step in the process is to go to “fact finding” where a state-appointed factfinder takes testimony from both sides and determines the “facts” in a published report. Once the report is published (probably some time in Spring 2018), the union will need your help in lobbying North Orange’s Board of Trustees. Stay tuned! On December 11, 2017, PERB filed a complaint against the district, claiming it had “failed and refused to meet and negotiate in good faith with” AdFac, largely based on the administration’s regressive bargaining – that is, when one side makes an offer, they can not “retreat” from that position, but must attempt to move closer to the other side. In this case, the administration had originally had, as one example, 2 ways to lose your “preferred consideration” assignment priority due to clerical miscues, but in a subsequent proposal upped that to 9 ways. AdFac informed the administration that these actions were regressive and then filed with PERB, who has confirmed that such actions would be illegal. Now the administration will get its day in court. In addition, the PERB complaint addressed the administration’s penchant for arriving late for pre-arranged negotiating sessions, noting “bargaining unit members arrived late on many occasions to negotiating sessions.” The worst occasion was when administration arrived 52 minutes late, as AdFac sat and waited. These actions “interfered with the rights of bargaining unit employees” and violates Government Code section 3543.5 (a) and (b) since it makes it difficult for AdFac to properly represent YOU. 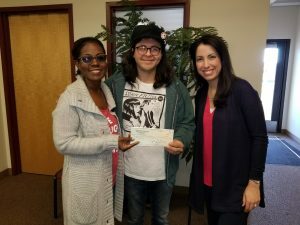 As Fullerton and Cypress College students juggle life, work and school activities, they still are making a contribution to the community. 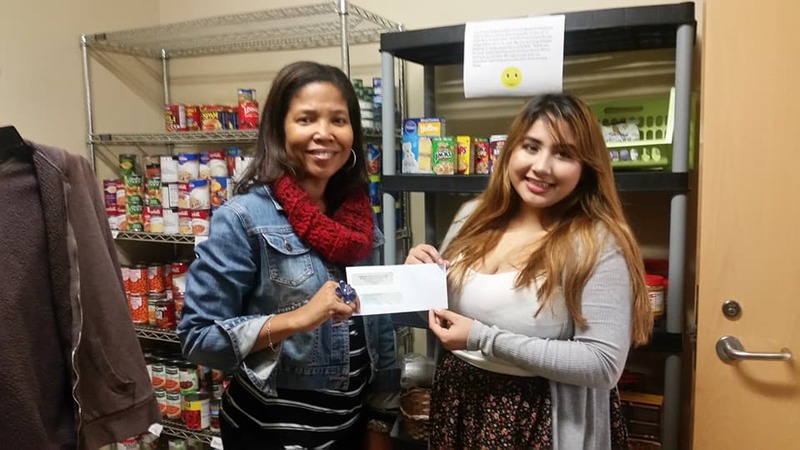 Last Fall, Fullerton College’s Business Management Department helped facilitate a student-managed food drive. In support of the College Food Bank’s mission to foster a healthy college community, business students donated 350+ pounds of dry and canned goods in just 10 days. The mission of the FC Chris Lamm & Toni DuBois-Walker Memorial Food Bank is to foster a healthy college community by providing food to students and their families who are in need. They hope to alleviate hunger and provide access to quality and nutritious food. A similar mission is a priority at Cypress College, as well. Fullerton College: Building 1955, 321 E. Chapman Ave., Open Tuesdays 12-2 pm and 4-6 pm. fcfoodbank@fullcoll.edu and visit the food bank on Facebook. Cypress College: Student Activities Office, 9200 Valley View St., Open Mondays & Thursdays 6am-8pm; Tuesdays & Wednesdays 8am-7pm; Fridays 8am-4pm. 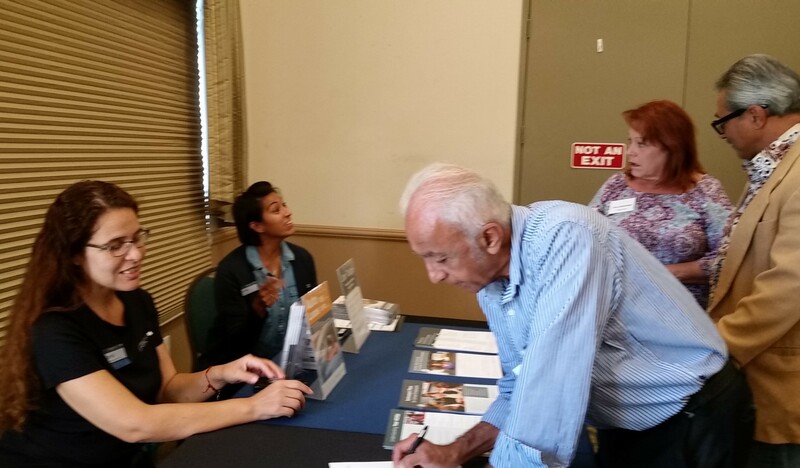 dokawa@cypresscollege.edu & visit Facebook. To support the Food Banks, donate non-perishable, sealed food items with clear expirations printed on the label. Most needed items: canned goods, peanut butter, pasta, cereal, granola bars. Apply Now for One of the Districts few “fringe benefits” ! As the semester or trimester winds down, your union reminds all adjunct faculty to contact the Employment Development Department of the State of California at 800/300-5616 as soon as you have administered your last final exam. Tell them you have been laid off (unfortunately, you have, EVEN if your name is in the printed Fall class schedule since “your” class might not fill or a full-time faculty might take it to fill their basic load). Tell the caseworker you want to apply for unemployment compensation. If you are not otherwise working, you should be able to draw checks every week until the semester/trimester begins. The caseworker will need the name and address of your employer/college district and may ask you, when you mention you are a teacher, if you have “reasonable assurance of continued employment.” The answer is NO. 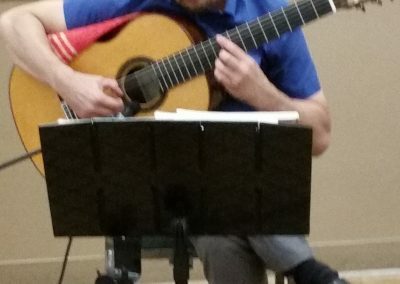 (Full-time teachers do, but part-time faculty do NOT.) And you are not “on recess” (for K-12 teachers only). If necessary, mention the CERVISI decision (a community college part-time teacher who was denied unemployment, appealed and won). The decision is codified in EDD Field Directive 89-55UI (in case they give you a really hard time!) 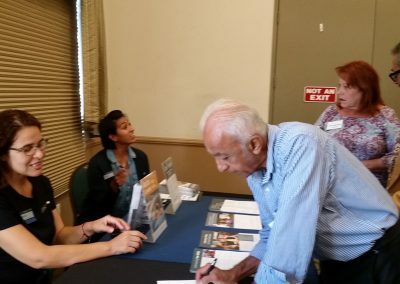 Of course, if the caseworker you initially talk to is obstreperous, you can always hang up, call back and start the process all over again with someone who is more knowledgeable. Or apply online at www.edd.ca.gov/eapply4ui. Help us sign up new members! 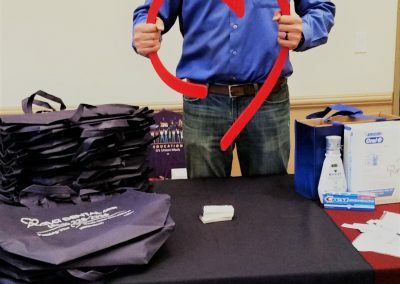 We are looking for union-friendly AdFac members who enjoy meeting and talking with adjuncts about our union so that we can increase our local’s membership. Unions are organizations of workers who join so they will have greater influence in determining their wages, hours, and other working conditions. We believe there is strength in numbers. Unions are best able to represent workers when members are strong and unified. But unions are only as strong as their members’ involvement. Historically, unions have fought for and won many benefits that most Americans enjoy today, such as an eight-hour work day and minimum wage. AdFac’s accomplishments include: raises, additional steps, preferred consideration, bonuses, medical premium reimbursement. We are offering compensation to recruit new members for our union. This is a great opportunity to earn extra income. Please contact us if you’d like to get involved. 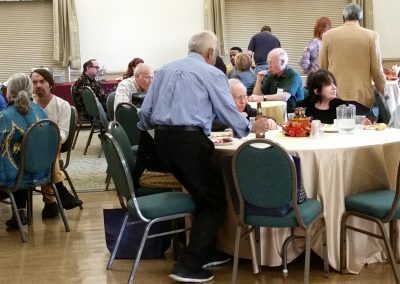 Friday, Sept. 22, marked the date for AdFac’s annual “Back-2-School party.” About 60 part-timers and guests enjoyed a few hours of fun and camaraderie at the Fullerton Elks Lodge hosted by your union, Adjunct Faculty United. 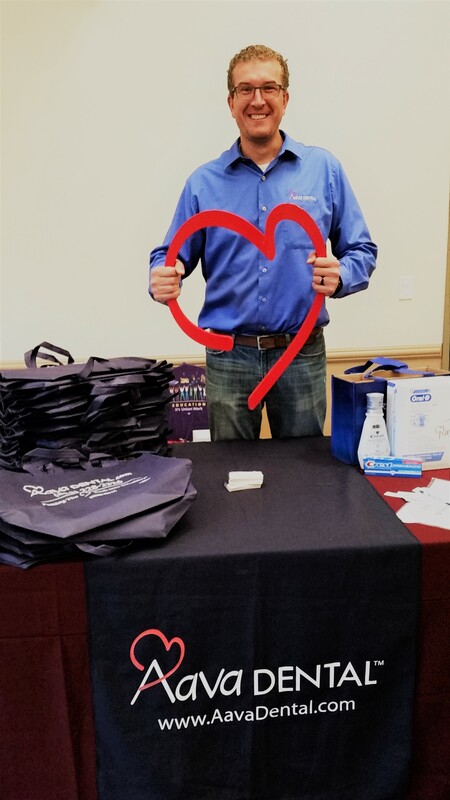 Part-timers were greeted by AdFac Executive Board members and President Kent Stevenson, who brought everyone up to date on union activities. 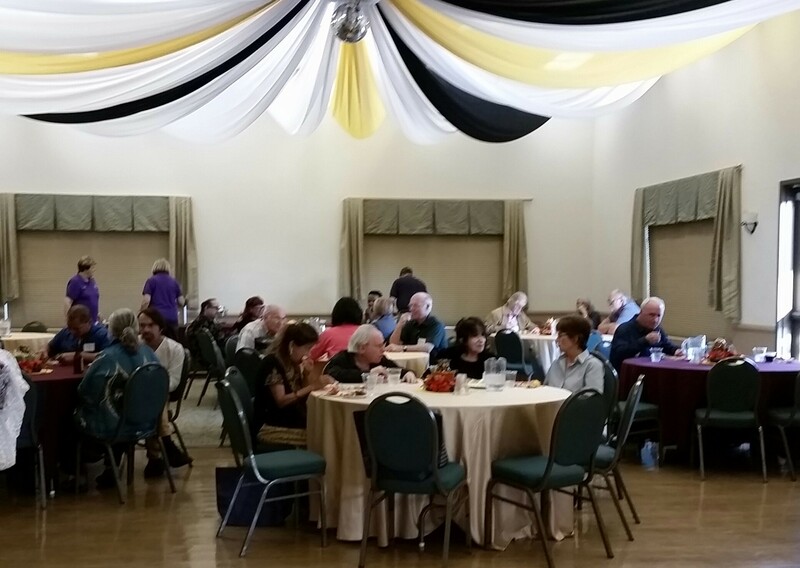 Among the attendees were Dr. JoAnna Schilling, Cypress College President; and Trustee Ed Lopez. Also attending were Tina Johanssen, former President of United Faculty; and her husband, Dimitri. Representatives Erika and Janet from SchoolsFirst Federal Credit Union offered information about the credit union and raffled off a gift certificate. 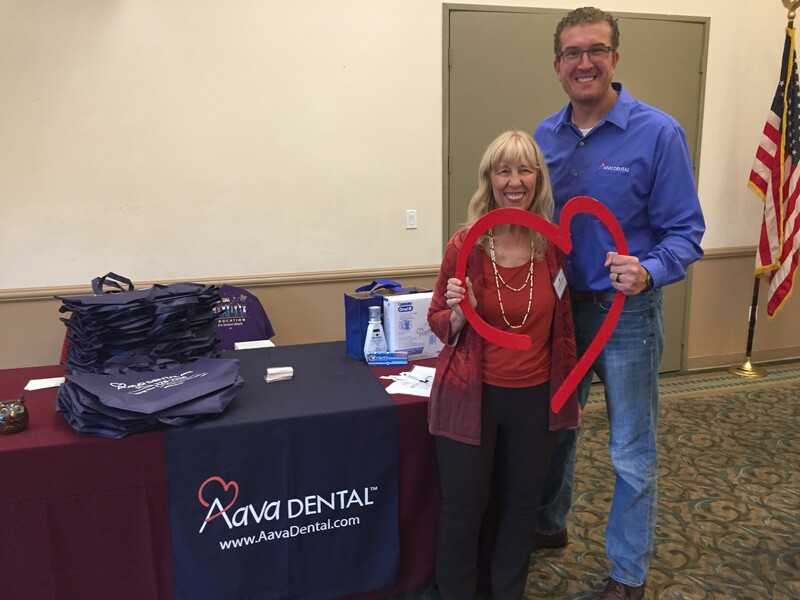 Jason Swanson of Aava Dental gave away grocery bags with toothbrushes and toothpaste. 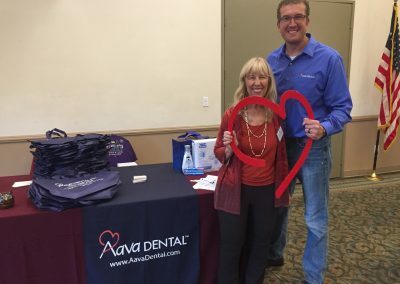 Aava also donated an electric toothbrush (won by Miriam Henan). 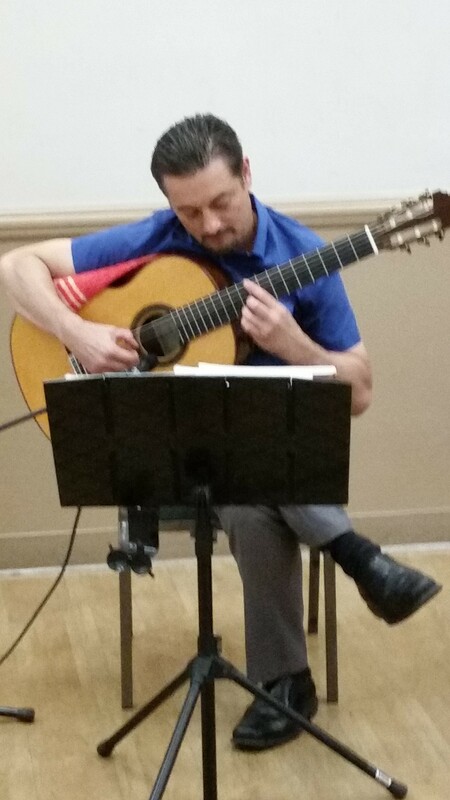 Fullerton and Cypress College adjunct Billy Arcila provided classical guitar throughout the event. Guests enjoyed appetizers, drinks and cake and opportunities to meet and greet.